A multifaceted narration characterizes the contrapositions between schools, factions, theories, and practices in the history of medicine. Yet, studying these conflicts helps to shed light on those actors traditional historiographies usually relegate to secondary roles: surgeons, practitioners, apothecaries, botanists, astronomers, chymists, men and women devoted to the knowledge of simples. Especially when following losers, outsiders, heretics, and marginalized scholars, medical conflicts reveal epistemologically fruitful paths that help to track the changes buttressing early modern bio-medical revolution. While academic physicians required the support of theologians to rule out these practices as responsible for heresies, errors, and charlatanisms, kings frequently credited such outsiders as court physicians (i.e., Ambroise Paré, Guy de La Brosse), elevating their knowledge and experience to a crucial role. Slowly, these actors entered medical schools and academies, rewriting early modern history of medicine. This fascicule aims to reconstruct this conflicting situation, and to analyse diverse cases of such outsiders and losers, moving from the sixteenth to the eighteenth centuries (wider focuses are accepted as well). Research articles coming from different fields (history of philosophy, psychology, science, medicine, botany, ideas, intellectual history, and history of life sciences…) are welcome. 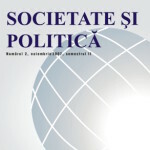 Societate și Politică is a peer-reviewed scholarly journal published by Vasile Goldiș Western University of Arad, Romania. See http://uvvg.ro/socpol/. Papers no longer than 8.000 words or book reviews no longer than 800 words should be submitted by email to fabrizio.baldassarri@gmail.com by 15 December 2017. Paper will go through double-blind peer-review process. Publication is scheduled by 30 April 2018. For the authors guidelines, click here.